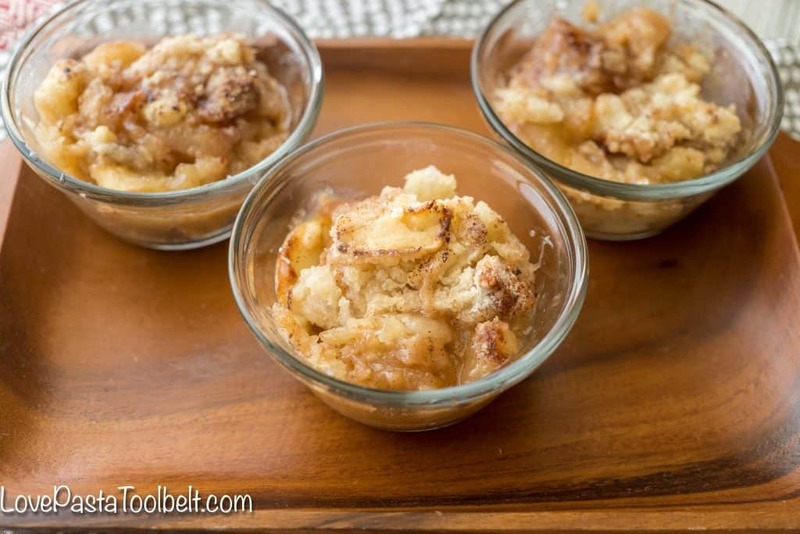 Pick up some fresh apples and whip up this delicious Apple Crumble for your next dessert! I know a lot of people are all about pumpkin in the fall, but for me it’s apples. 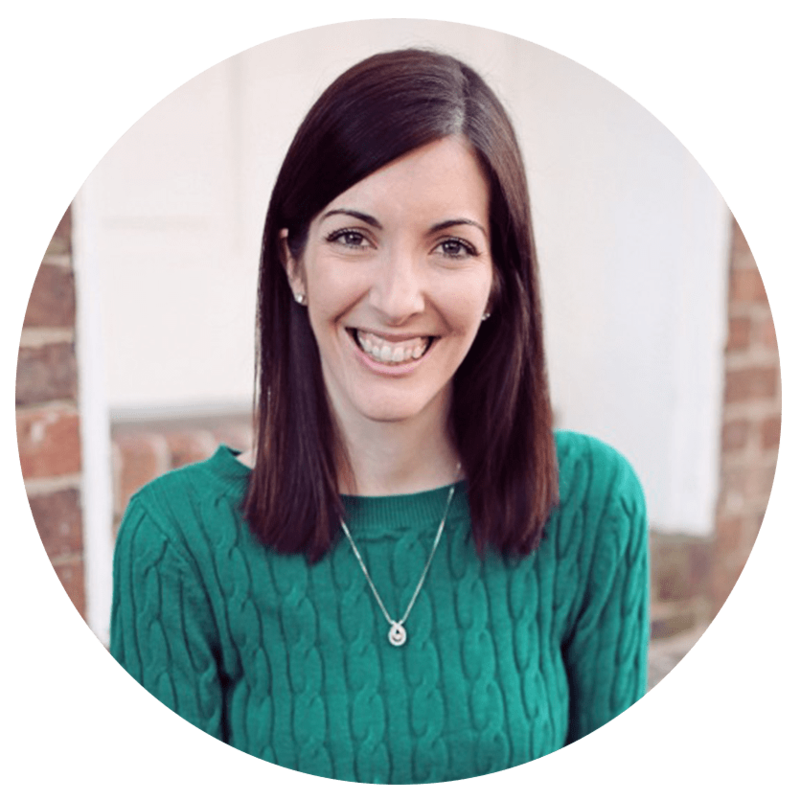 I love making recipes that involve apples, love visiting apple orchards to pick my own, and just all things apple. It may have something to do with the fact that growing up our kitchen had the theme of apples. 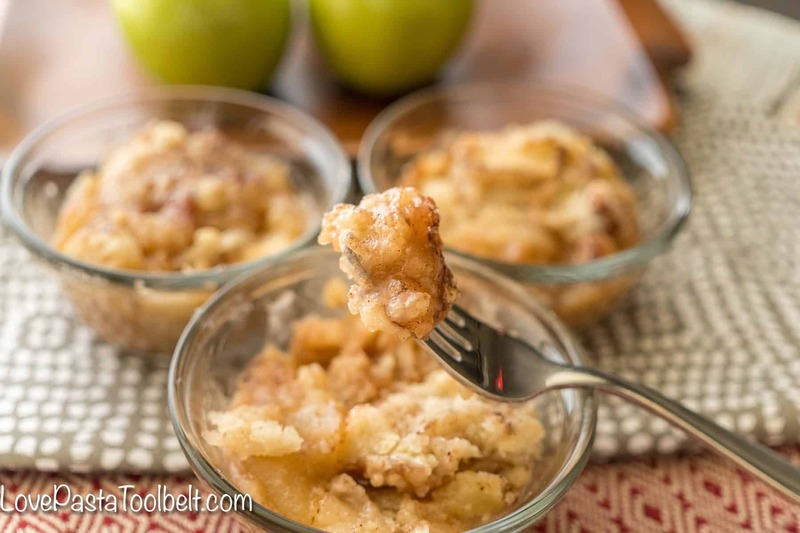 Today I’m sharing a delicious recipe for Apple Crumble. It’s easy to make and despite the fact that it doesn’t look very good for pictures, it is oh so delicious! Growing up, we visited the New England area for vacation every year for 10 years. Some years we went in the summer or winter, but mainly we visited in the fall. My dad loves seeing the beautiful fall foliage and all of the history that New England has to offer. Some years we would take the train from Atlanta to Albany, New York. It was such a fun experience; one that I hope to be able to share with K one day. Sleeping and eating on a train was a fun experience as a kid. My dad was never one for being on time, and I remember countless times rushing to catch the train at the last moment. This always stressed me out, especially one year when we were coming home with a couple bags of fresh apples we had picked. As we rushed across the train platform, heading for the train, the bag busted and apples were rolling all over the platform. It was sight to see, that’s for sure. I think those trips to New England and to the apple orchards really made me love apples. I’m not a big fruit person, but give me a couple apples and some caramel dip and I am set. 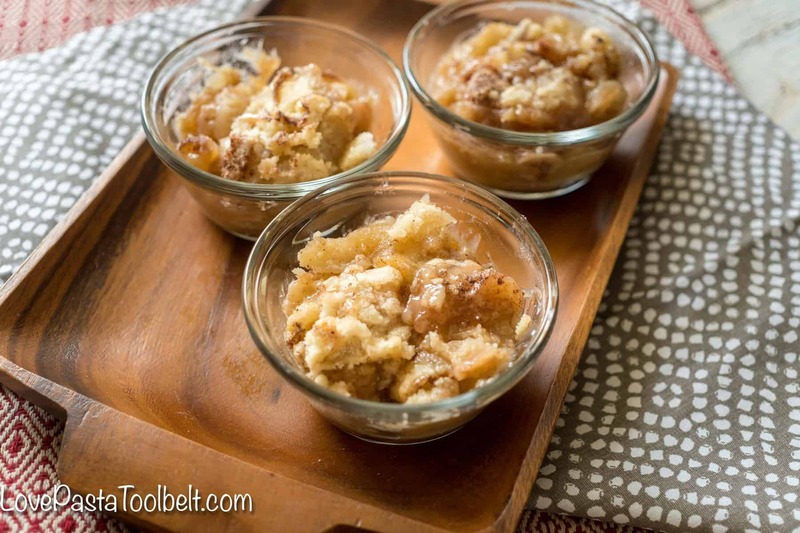 Today I’m sharing a very simple recipe for an Apple Crumble. It’s sweet and delicious. 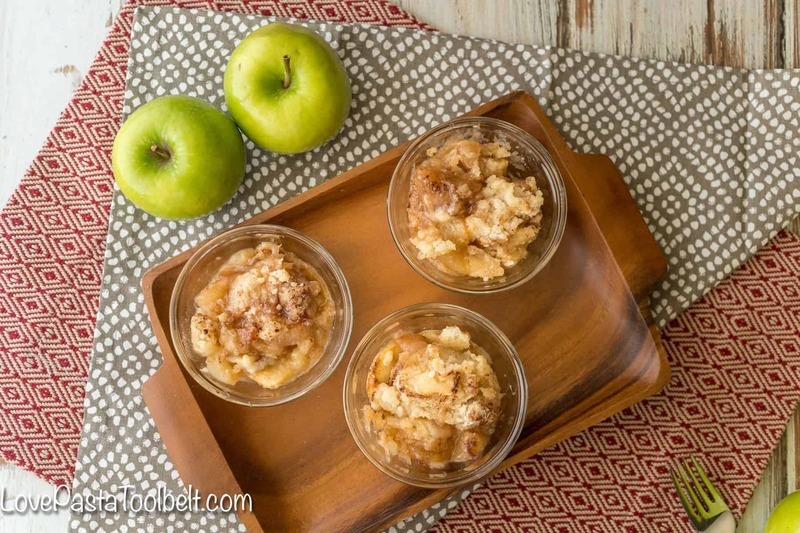 I’d love to hear what are your favorite ways to use apples in the fall? Peel, core and slice apples. I make this simple by using this apple peeler/corer. 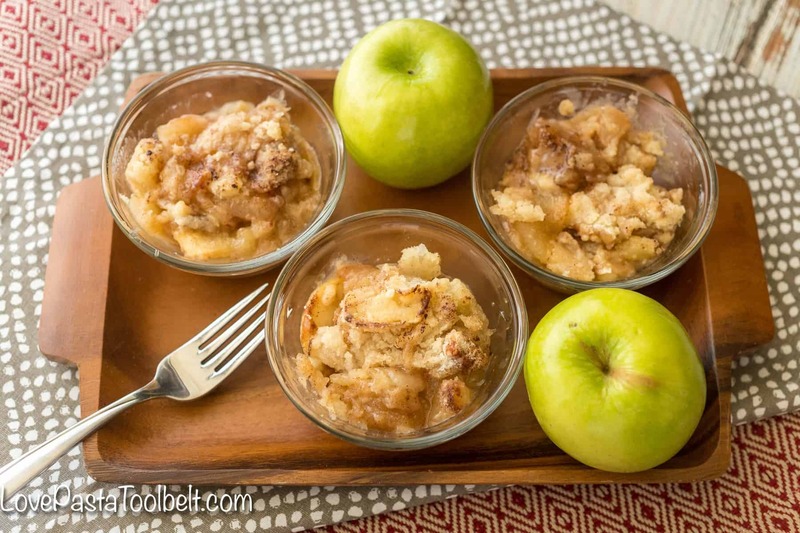 Combine apples, lemon juice, spices and 1/2 of the sugar. Toss together and put into a greased baking dish. 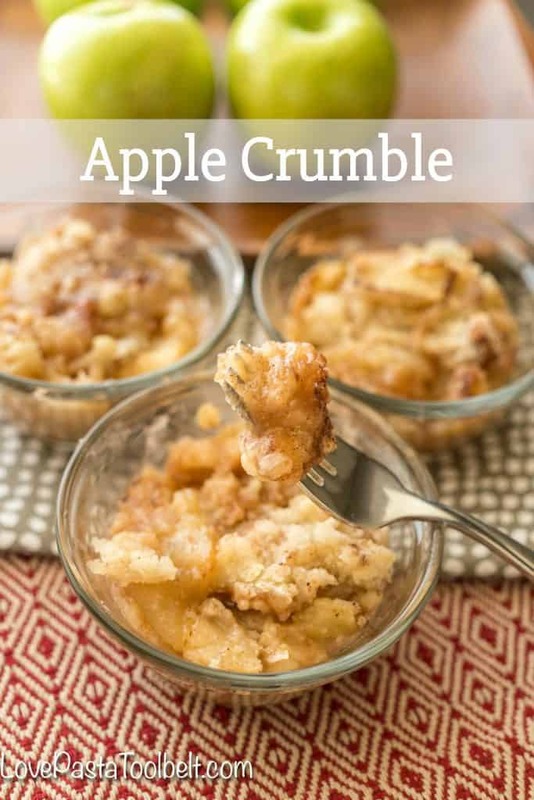 Combine apples, lemon juice, spices and ½ of the sugar. Toss together and put into a greased baking dish.